Gentle British detective drama set in 1947 as a 93-year old Sherlock Holmes struggles to remember why he forced himself to retire twenty years ago. 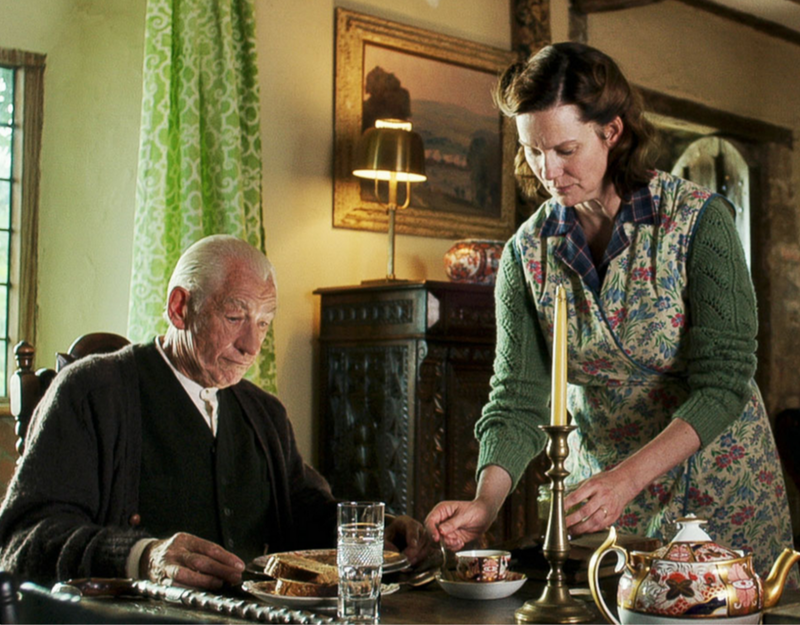 Starring Sir Ian McKellen, Laura Linney and Milo Parker. 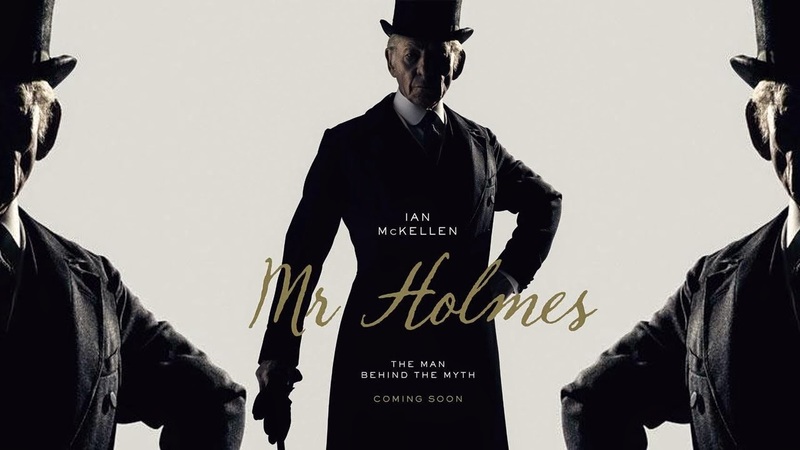 Long since retired, Mr Holmes focuses on a now rather doddery, forgetful Sherlock – already in his 90s – as he faces the grim reality of senility and a life dependent on his housekeeper and her bright young son. 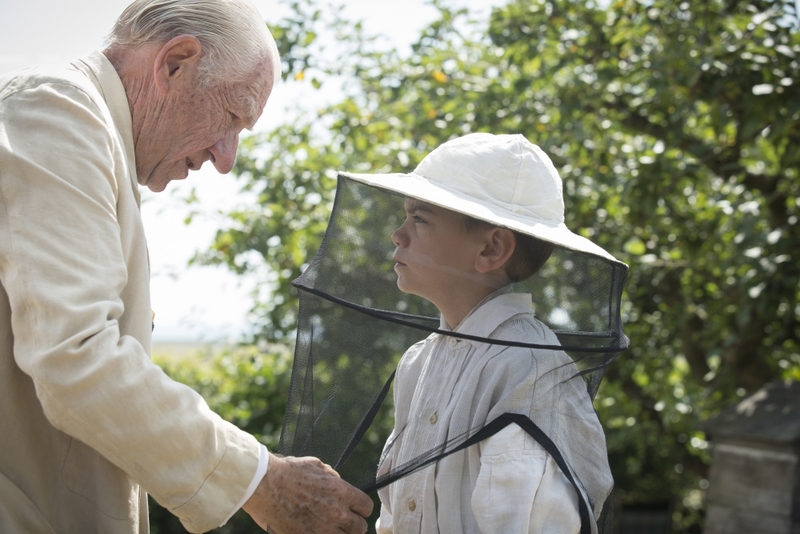 Interested more in his bees than his books, Holmes spends his days in the garden apiary, teaching the young lad, Roger, how to cultivate the hives while Mrs Munro – the housekeeper – begins to think about what to do when she can no longer care for the old man on her own. With his doctor already proposing a nursing home, Sherlock digs his heels in even more firmly, determined to solve one last mystery : his own. Why did he retire ? What happened with the last official case he undertook ? 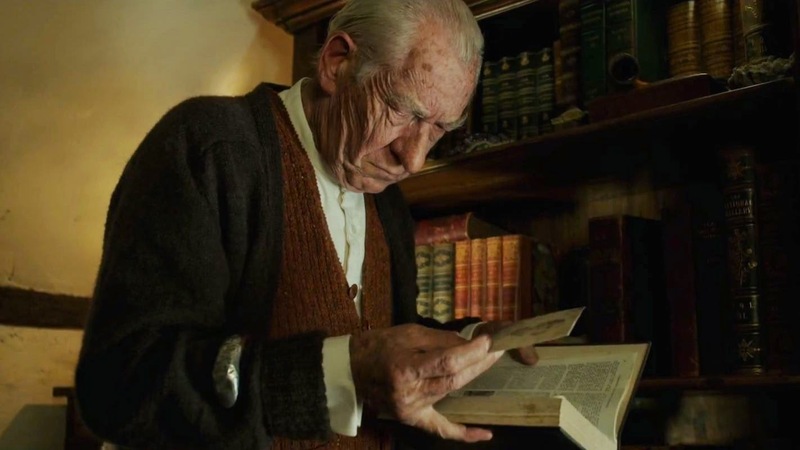 As he begins to write his own first account of this, the final chapter in his illustrious career, we begin to see flashbacks, and with the inquisitive young Roger egging him on – he’s reading the notes as Holmes puts the words down on paper – the pieces of a twenty year old jigsaw start to fall into place. The loss of two children. An unusual Victorian musical instrument and the strange German lady who teaches it ..
All these elements are floating around his head. Add the pressing need for closure before he can no longer care, the potential loss of his independence, the curiosity of a young fan and the desperation of the legendary detective can only escalate. 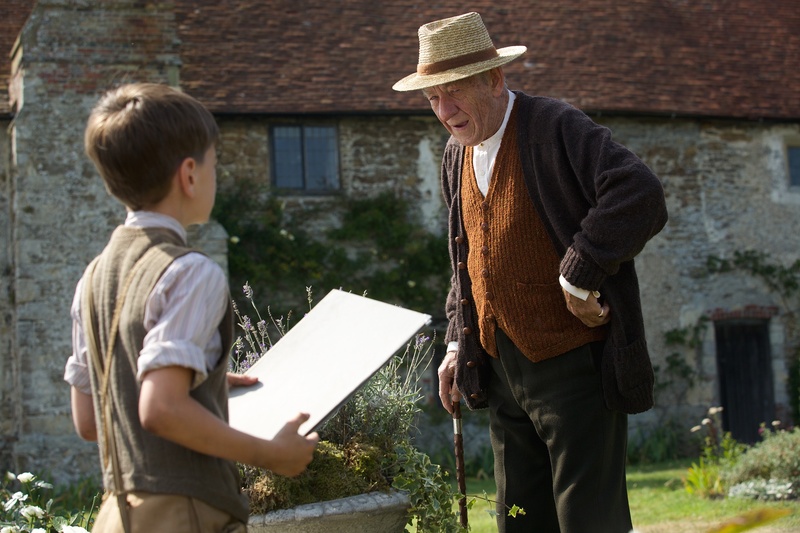 McKellen is absolutely convincing in the role – is he ever anything less ? – and the make-up is beautifully subtle, down to the liver-spots on his gnarly old hands. Laura Linney – such a great character actress – shows remarkable restraint in a role in which you, the viewer, are frequently begging for her to explode, such is Mrs Munro’s frustration throughout. Her son is brought to life by newcomer Milo Parker with just the right balance of wonder and youthful exuberance that you would imagine in a boy overawed by the sheer presence of one of the world’s greatest minds, yet who’s also aware enough that he mustn’t miss the opportunity to learn as much as he can from the man. I won’t say anymore about the plot other than to say that this is a beautifully crafted mystery with flashes of wit and humour, some fine detailing of the period setting – the musical instrument is a star in itself – and some great diversionary tactics to throw you off the scent.